« SAN (iSCSI) and Device-Mapper Multipathing ! This article explains how to set up a DNS configuration on Red Hat Enterprise Linux. I will set up a basic configuration for a DNS server and also I will set up a specific configuration for the SCAN (Single Client Access Name) with Oracle RAC Database. DNS (Domain Name System), also known as a nameserver, is a network system that associates hostnames with their respective IP addresses. For users, this has the advantage that they can refer to machines on the network by names that are usually easier to remember than the numerical network addresses. For system administrators, using the nameserver allows them to change the IP address for a host without ever affecting the name-based queries, or to decide which machines handle these queries. For more information, see this URL. BIND (Berkeley Internet Name Domain) consists of a set of DNS-related programs. It contains a nameserver called named. Step 2: Create forward and reverse zone files in the ‘/etc/named.conf’ file. Create forward.wadhahdaouehi.tn file in the ‘/var/named’ directory. Create reverse.wadhahdaouehi.tn file in the ‘/var/named’ directory. Step 4.1: In forward.wadhahdaouehi.tn file, add two lines for two IP address. 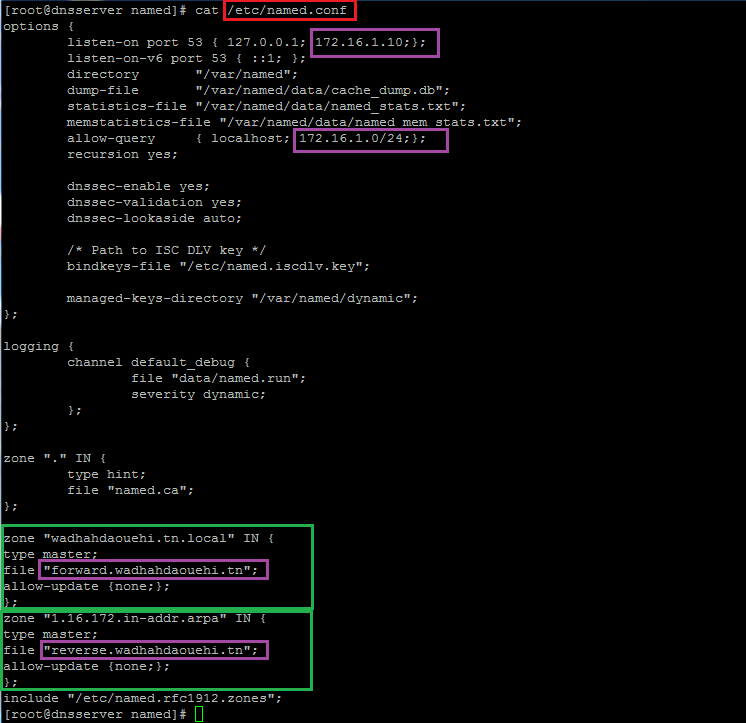 Step 4.2: In reverse.wadhahdaouehi.tn file, add two lines for two IP address. Step 4.3: Test DNS Configuration. 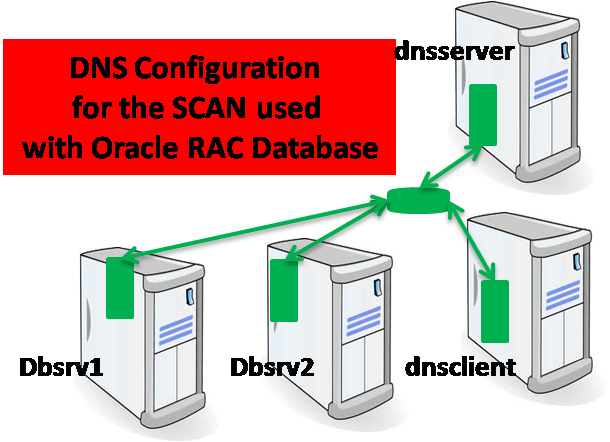 This article provides the basic DNS configuration steps to use the Single Client Access Name (SCAN) with Oracle RAC Database.